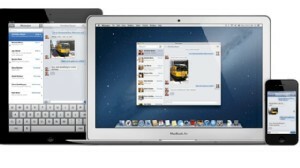 Apple's new Mountain Lion Mac operating system is here. Should you upgrade? Let's be honest: updating your laptop or desktop with a new operating system isn't usually on your top list of priorities. It's a hassle. You have to 1) pay for the upgrade, 2) go through the process of downloading it and installing it, and then 3) there's no saying the new software will be much better than what you've been using or if it will mess up your current settings. The operating system is beyond easy to install through the Mac App Store -- all you have to do is hit "install" and it will take care of moving over your files, programs, and settings to the new software. (It does take some time to download the 4GB of software over a stable home Internet connection and I still recommend backing up your stuff before going through the process.) And it only costs $19.99 to get the new OS. That's the same price as a dinner at some restaurants, a few cups of coffee at Starbucks, or a T-Shirt at the Gap. It has become habit for me to install an extra browser as soon as I get a new Mac laptop, because Apple's Safari has fallen behind Google's Chrome. The new Safari, though, included with Mountain Lion, is a big improvement. Until now, it's been a bit hard to keep track of all of Apple's messaging systems. There's iChat, iMessage, and then FaceTime. Messages finally solves the problem by putting everything in one central app. It's hard to use Mountain Lion, or even Lion for that matter, and not see the influence that the iPad and Apple's iOS has had on its laptop and desktop operating system. And Notification Center is a prime example of mobile-like features hitting OS X. Swipe two fingers from right to left on the edge of the trackpad and Notification Center, a panel with a list of notifications, will pop in from the right side of the screen. Emails, missed instant messages, iMessages, Tweets, etc. all show up in the notification tray, and Apple is working with third-party developers so their notifications will show up there too. Apple has said the cloud is integral to its products and services, and now its iCloud service is integrated into the heart and soul of OS X. As soon as you boot up the new operating system you are asked to log into your iCloud account. That will then sync everything on your iCloud account, including your emails, notes, reminders, iMessages, etc. across all your devices. Also integrated into the operating system is the ability to share, and while it sounds basic, it's oen of the features that makes this a must-have upgrade. Apple lets you sign into your Twitter, Flickr, or Vimeo accounts right in Mountain Lion's System Preferences. Then you can share automatically from apps like Safari, iPhoto, etc. I actually spoke these words when writing this review. Yes, these very words. Turn on the dictation function under System Preferences, press the function key twice, put your cursor where you want your text to appear and start talking. There are lots of other new features in the latest version of Mountain Lion -- like Game Center access and Airplay, which lets you stream what is on your computer to the latest Apple TV. But on top of those all Apple has cleaned up some of the small issues that one found in Lion. For instance, in Lion when I opened a number of photos at once in Preview, the thumbnails wouldn't always show; in Mountain Lion they do.